It is a highly auspicious time in Guptapada, Odisha. The entire village is at the finale of three days of celebration of what it means to be woman. Raja Parba (in Odia – ରଜ ପର୍ବ) or Mithuna Sankranti is a festival for the beginning of the solar month of Mithuna, from which the season of rains starts. It inaugurates and welcomes the agricultural year all over Odisha, since the sun dried soil will receive moisture from the first showers of the monsoon. This is what prepares the land for productivity. During these days, it is believed that the Mother Goddess Earth undergoes menstruation. As such, women’s menstruation is celebrated, as this is an essential key for bringing forth life for humankind. 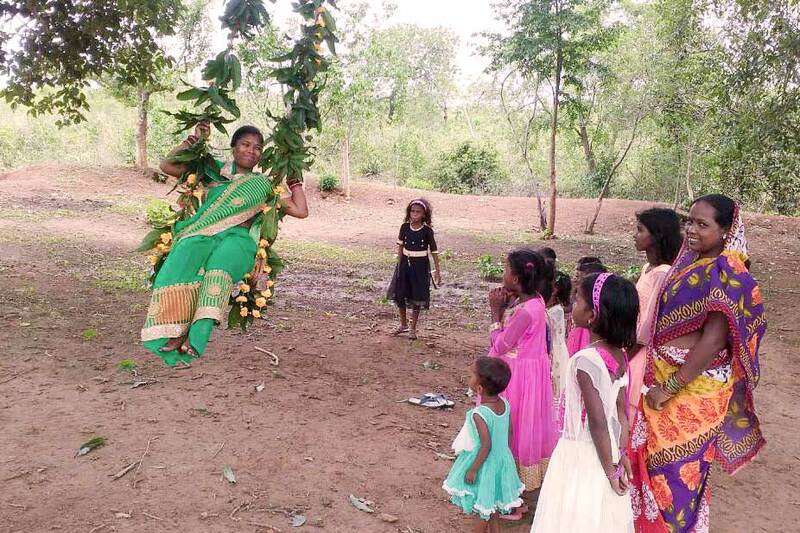 In Guptapada, the villagers make certain to celebrate girls’ and women’s periods so that they feel special. 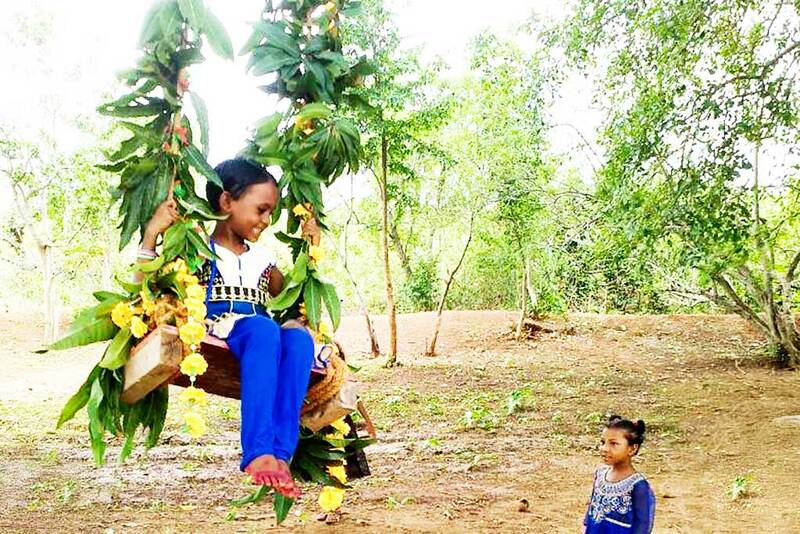 Customs and traditions see the girls and women enjoying their time by playing games as per their wish and taking their time on beautifully decorated swings. They do not do any kind of household or outdoor work and also take much rest these days. As an extra bonus, girls do not get any kind of scoldings. Women and girls prepare all types of pancakes, sweets, etc. and visit each other’s homes to partake of all treats together. They also eat sweet beetle. The villagers overall will not do any kind of agricultural work and no plucking of flowers. There will most definitely not be any ploughing work upon Bhumi Mata—Mother Earth.